A new method was here developed for the determination of 18O-labeling ratios in metabolic oligophosphates, such as ATP, at different phosphoryl moieties (α-, β-, and γ-ATP) using sensitive and rapid electrospray ionization mass spectrometry (ESI-MS). The ESI-MS-based method for monitoring of 18O/16O exchange was validated with gas chromatography–mass spectrometry and 2D 31P NMR correlation spectroscopy, the current standard methods in labeling studies. Significant correlation was found between isotopomer selective 2D 31P NMR spectroscopy and isotopomer less selective ESI-MS method. Results demonstrate that ESI-MS provides a robust analytical platform for simultaneous determination of levels, 18O-labeling kinetics and turnover rates of α-, β-, and γ-phosphoryls in ATP molecule. Such method is advantageous for large scale dynamic phosphometabolomic profiling of metabolic networks and acquiring information on the status of probed cellular energetic system. Monitoring of 18O enrichment in ATP at α-, β- and γ-phosphoryl moieties using ESI-MS, GC-MS, 1D and 2D 31P NMR. 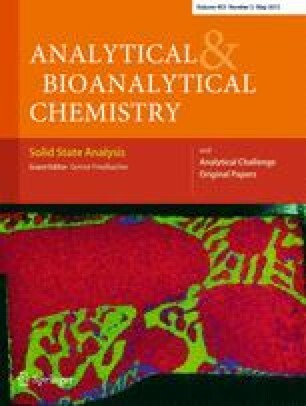 We would like to thank Mai T. Persson, Godfrey C. Ford, and Linda M. Benson for their technical assistance with ESI-MS analyses. This work has been supported by NIH, Marriott Heart Disease Research Program, Marriott Foundation, and Mayo Clinic. This work was supported by NIH/NCRR CTSA grant number UL1 RR024150.